From ‘To Love and To Cherish’ to ‘To Punch and to Bury’: How Domestic Violence Hasten Women’s Exit from The World’s Stage. As I sat in front of the TV switching channels trying to find something interesting to watch, my hand froze suddenly on the remote control as the Euro news Channel I just switched to showed Oscar Pistorius walking out of jail. I mean walking out of jail on bail or whatever when he still had more years to serve for killing his girlfriend, Reeva Steenkamp a few years back. The interesting thing is that this killing was what brought his name to my attention. Before then, I never even knew he existed even after hearing he won gold at the Olympics. Well, that gold didn’t stop him from adding another figure up the scale of women bashers and killers. True, some say he is not guilty and we cannot exactly say what happened that fateful day; but the unforgiving public jury seem to have judged him, based on his violent reaction to the so called ‘intruder’ to claim he is as guilty as sin, refusing to rule out their claim of ‘premeditated’ murder. Why did his practically walking out of jail free elicit such a reaction from me? Why did my hand freeze on the remote? It was a culmination of a week of reading and debating about women dying at the hands of their abusive partners. In fact, just prior to the news, the latest article was about a very young, talented Dr and mother of two from Nigeria who was suspected to have died from domestic violence at the hands of her Dr Husband. Her story can be found here. She was a Dr, making her own money with the power and means to walk out for crying out loud! If that story doesn’t dispel the myth that victims of domestic violence and perpetrators are usually poor, frustrated men and helpless women, then I don’t know what would. Domestic violence knows no race or financial status. It can happen to anyone irrespective of whom or what they are. Some men have also been victims. Nevertheless, women make up the bulk of those affected by domestic violence to the point of death but who unfortunately, have their killers go scoot free and their cases swept under the rug time and again, proclaiming in clear terms it is a male dominated world. The justice systems continue to fail women. The few victories like this here have done very little to curb the trend of domestic violence. This is a situation close to my heart. As a student at the University of Buea, both my internship and dissertation reports were all focused on the various forms of violence inflicted on women. It is sad to say many years later, violence against women remain on the rise. It is estimated that at least 1 in every 4 women will be a victim of domestic violence. An interesting discovery I made in the course of my research back then was a female prosecutor of domestic abusers. The irony was while she worked hard to help women get relieve and shelter during the day, she went back home to suffer at the hands of her abuser. The question everyone was asking was why didn’t she get out? Easier said than done. It takes super human effort and determination to leave an abusive relationship. The abusers usually have a way of making the victim feel it is all their fault, they are useless and nothing without them etc. Slowly, they penetrate and broke the walls of self confidence of their victims until they start believing their lies. There is absolutely nothing WRONG with the victim of domestic violence. Neither is it their fault. In fact, never accept that first slap. When your ‘to love and to cherish’ story is changing to a ‘to punch and bury’ story flee!. If you are unsure of what to do, remember your life is far more precious than being the punch bag of an amateur Super Makia. Do not hesitate. If possible take a page or two from Usain then BOLT as far as your legs could carry you to the opposite direction! Many women remain in abusive relationships for obvious reasons. Apart from making them feel worthless, they are held back by societal pressures and expectations. Many have to bear the brunt of relatives who refuse to understand or give them support when they complain about abuse. So many women have heard this oft repeated words again and again, ‘ Just tie heart go back for ya man ee house’. That ‘tie heart’, will become the shortest cut to going six feet under with the husband or partner being the architect of the road. Others stay because of their kids. They fail to understand they are better off alive than death to their kids. Friends mock instead of supporting them and still, society in general blames the woman. How often we hear if she didn’t do so or so or if she acted in such and such a manner, she couldn’t have been abused. Really? What many fail to see here is the desire of the man to be in control. A desire that makes them seek for control by all means necessary, to feed their egos especially. Thus they stay providing entertainment to amateur boxers in need of a punch bag and boxing ring. At the end of the day, all the wife or girlfriend bashers of this world would probably walk away scoot free while their victims come out maimed or worst get sealed in a box headed six feet under. Do not let anything make you stay in an abusive relationship. Do not be deluded to believe the first slap would be the last. You have to be decisive to make sure it remains the last. Domestic Violence is not a sign of LOVE. I can write a whole book on this issue. The events of the past few weeks provoked the woman fighting instincts in me and while the families of the victims mourn and we debate, I couldn’t help repeating this refrain from many years ago. ‘Blame the woman, blame the weather, blame the job, blame the drink, blame the frustrations, blame whatever, domestic violence, there is absolutely NO EXCUSE’!! Listen to a sister even if she is just a random sister. Lend a hand. Do not wait for March 8th. Abusers do not wait for March to unleash their abuse.Your actions may well make a difference and stop them from meeting their maker too soon. Your comments inspire me. Please read, share and drop a line. Thank you. Prev Empowering Warriors: Sickle Cell Clinic Goes Operational At the Etoug-Ebe Baptist Hospital. Thank you for persistently writing about this issue. The more we put it out there, the more the perpetrators know how wrong their actions are. Mothers and Fathers, please raise your sons right! Well brought up sons make loving husbands and fathers! Thank you Sis Patty for stopping by. Yes, to make it a social concern we need to talk about it. You are right upbringing does have a role to play. Thank you for always reading. Domestic violence is also very close to my heart, sis. I hope more women will learn to flee rather that keep living in hell when “to love and cherish” turns to “to punch and bury” (love that line!) I agree that DV is neither a respecter of race nor financial status. Victims must learn to take a walk and preserve their lives. Thanks for shedding light on this! A lady after my own heart we are always in sync! Victims need to learn to not being victimised. It is not an easy battle but it is one that needs fighting. Thanks for signaling out that line. Love it too :). We need to make noise on such issues. Thank you for always stopping by and dropping a line. It means a lot. Counselling is important but I don’t think any full grown person needs counselling to tell them hitting another person especially someone they have vowed to love, cherish and protect is wrong right? 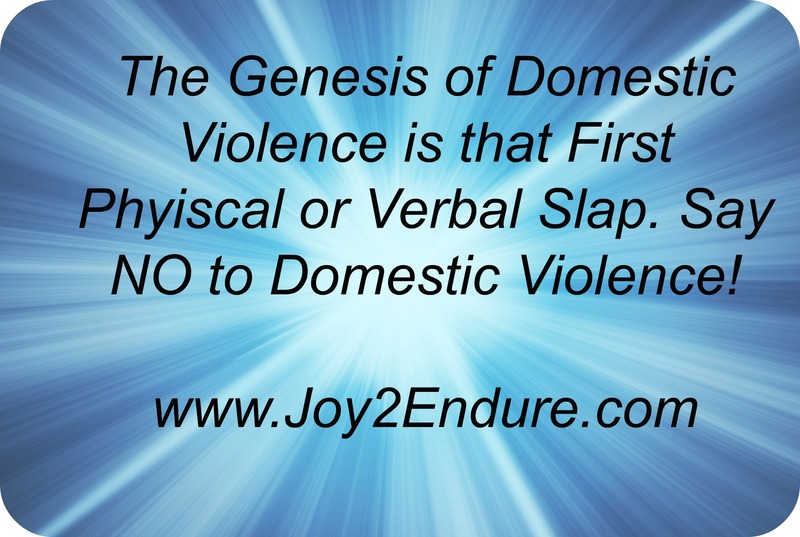 Violence doesn’t end on domestic violence and unless I am writing a book on that, I can’t go into great detail about them all in this single post. Thank you once again. Your two cents are duly noted and appreciated. Women should not wait for serious things to happen to them b4 leaving an abusive man. There r signs n when u read these signs run for ur life. Take ur children if u can n go. Bcuz he will not kill his children but can kill u d wife. And when ur gone ur poor kids will have to grow up with another woman. Only God knows how they will b treated. Run for ur life! If ur family doesn’t support u just go somewhere else n pick ur life back. Exactly my dear sis Kelly Grace. There are always tell tale signs many choose to ignore on the ‘he will change if I do a little more of so or so’. While it is true that relationships are far from perfect and disagreements are bound to occur, when such disagreements mean a risk to your life, flee! There is always a need to pick your life back, because you deserve better. Happy to see you here thanks alot sis. Good one Arrey! Domestic violence in all it’s forms,is totally unacceptable. Don’t even try to rationalize it. Pistorious is however not a good example as there wasn’t enough evidence to get a conviction of premeditated murder, neither was there proof of violence on the person of Steenkamp. A lot of unanswered questions about his violent reaction to the “intruder”. To victims of violence, put your foot down from the start. Accepting the first slap is tantamount to signing up for a lifetime of battery. Thank you very much, Ms Sirri Ntonifor for your visit to the blog and for leaving such a powerful contribution. It is really a shame that with all the awareness, women as victim of violence continue to be on the rise. It is really imperative to make more noise and establish laws that are as active, not only written down on paper. Thank you once again, please keep coming and adding your voice. this subject, made mein my opinion consider it from so many various angles. Domestic violence is a case we have to talk about again and again. In fact, we have to keep singing it to the mountain and river tops until it becomes everyday conversations where perpetrators are punished instead of victims being blamed. Thank you for coming. Please come again. talk aboᥙt sᥙch topics. Ƭօ the next! Many thanks!! Thank you very much. For sure, we need to talk about such topics only then can they be stopped.